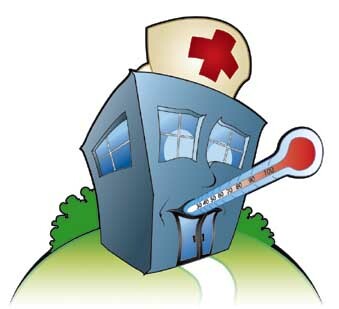 Of all the quality improvement monsters in the proverbial closet, health care might be the scariest--and figuring out how to tame this massive, complicated industry is no small feat. Since 1973, the Centers for Medicare and Medicaid Services (CMS) have contracted with quality improvement organizations (QIO) to monitor and report on the quality of health care delivered to patients who are mostly elderly. QIOs are private consulting organizations, and they collectively receive $300 million each year from CMS to investigate patient complaints about nursing home, in-home and hospital care. There are 53 QIOs in the country--one for each state, along with the Virgin Islands, the District of Columbia and Puerto Rico. Of the 53, 49 are nonprofit organizations. All are operated by boards of directors, which have historically been made up of physicians and other providers. Therein lies a big part of the problem, point out critics of the system. The system has become too inbred to be effective, say several members of Congress, and seems to favor health care provider reputation and perks more than investigating quality complaints reported to QIOs. QIO investigators are supposed to refer their complaint findings to the federal Office of Inspector General for possible discipline of doctors and hospitals, but a Washington Post study found that QIOs rarely make referrals and treat complaint investigations as low priorities. In 2004, reports the Post, QIOs investigated 3,100 complaints for 43 million Medicare patients; only 25 percent of them were referred for further investigation or disciplinary action. Even then, the findings were not shared with patients because this is prohibited by law. In its ongoing investigation of the QIO system, the Senate Finance Committee has also questioned the organization's "lavish" spending on conferences at pricey resorts, noting that some QIOs seem to have financial arrangements or relationships with providers that jeopardize their impartiality. In addition, the committee noted that QIO trustees are often paid exorbitant fees. The vast majority of U.S. nonprofit organization trustees do their work gratis, but the Post found that one QIO paid each of its trustees an average of $25,000; another paid a single trustee $37,000. The American Health Quality Association (AHQA), the QIO trade group, reports that these high fees are the exception, not the rule. It points out that the median payment to a QIO board member in 2005 was $1,530. Noting the appearance of a conflict of interest, the AHQA introduced a new code of conduct in January. All but four QIOs have implemented the new policy, which requires QIOs to diversify their boards of directors, minimize travel expenses, avoid conflicts of interest and limit board-member compensation to "levels comparable to other nonprofits and investor-owned firms." Still, there is evidence that QIOs do help improve the quality of health care. A recent AHQA campaign to improve surgical outcomes achieved a 27-percent reduction in infection rates at participating hospitals, and participating providers saw improvements in 18 of 20 clinical quality measures. These benchmarks remained stagnant for nonparticipating providers. Additionally, a comprehensive study of QIO effectiveness published in August in the Annals of Internal Medicine found that QIOs helped improve care in 34 of 41 performance measures. "QIOs truly care about improving the quality of care at the organizations they work with," says Jennifer Felsher, public affairs associate of AHQA. "But there are ways to modernize what we can do, and we are interested in doing that." For instance, the AHQA is supporting legislation introduced this year that would expand QIOs' power by giving the organizations greater control over their budgets, and allow them to publish an annual report with the year's investigative findings, making the process more transparent to consumers. The increased consumer representation on QIO boards required by the AHQA's new code of conduct will address the perception that the boards are unfairly weighted toward physicians. According to its Web site, CMS is currently examining its QIO contracts, which end in August 2008. Suggestions to improve QIO effectiveness include randomly assigning providers to each of the state-based QIOs, and requiring QIOs to work with different providers for varied time periods so that quality improvements can be better documented. For more information, visit www.ahqa.org or at www.annals.org, go to "Advanced Search" and search title: "Assessment of the Medicare Quality Improvement Organization." This contribution by reader Diane T. Schmoller is math murder if we've ever seen it. Pa Kettle from the 1940s "Ma and Pa Kettle" movie series shows you how 25 divided by five equals 14. Seriously. Check it out at http://video.google.com/videoplay?docid=7106559846794044495. • The glaciers that span much of Greenland are melting quickly; one of them has more than doubled in speed, moving at a rate of 5.2 miles an hour, compared with 2.3 miles an hour a year earlier. • Battling Hunger, a food pantry, said it delivered 110,000 tons of food to Detroit last Thanksgiving. The food was delivered to help residents there overcome the effects of a severe economic slump, particularly in the automobile industry. Did you notice the mistakes in these examples? A glacier moving at 5.2 miles an hour would be jogging into the sea; there are 951,000 Detroit residents, so to deliver 110,000 tons of food to needy residents there would mean that each resident got a whopping 231 pounds of food. Bialik's column is revealing because it illustrates how easy it is to make mistakes with numbers. A simple missed word or transposed numerals can completely change the meaning of an article. So those glaciers in Greenland are probably moving at about 5.2 miles (or meters?) per year , not per hour ; and Battling Hunger probably delivered 110,000 pounds of food, not tons . There are lots of places to find these kinds of mistakes, unfortunately. So share the wealth! Send them to us, and we'll pick them apart and publish them here. Tokyo Metropolitan Police arrested the president and CEO of Mitutoyo Corp. recently on charges that the company illegally exported equipment that can be used in making nuclear weapons. Kazusaku Tezuka and four other Mitutoyo executives--Norio Takatsuji, Hideyo Chikugo and Tetsuo Kimura--were arrested and charged with violating foreign trade control laws. Authorities suspect that Mitutoyo illegally exported two coordinate measuring machines (CMMs) to its subsidiary in Malaysia in 2001 by using special software to artificially limit the accuracy of the shipped equipment. CMMs with accuracies below a certain level are allowed to be shipped without reporting the shipment to the government. Accuracies on some models can be changed prior to shipment and then restored when the item reaches its destination. The Mitutoyo CMMs in question can be converted to measure centrifuges used in uranium development for the preparation of nuclear weapons. Police also suspect that Mitutoyo might have exported similar equipment to a company connected with Iran's nuclear program through an Iranian company based in Tokyo. This is not the first time Mitutoyo has been cited for allegedly breaking trade laws. The company's Tokyo offices were raided in February over suspicions that it illegally exported CMMs to Japanese companies in China and Thailand. Additionally, Japanese news sources report that the International Atomic Energy Agency found Mitutoyo-made machinery at nuclear-related sites in Libya in 2003 and 2004, and that the number of allegedly illegally exported CMMs might amount to several thousand since 1995. At the time, Mitutoyo told authorities that it thought the materials found in Libya were going to be used in the oil and gas industry in the United Arab Emirates, and denied any wrongdoing. Tokyo Metropolitan Police report that its investigation is ongoing. Mitutoyo declined to comment on the most recent arrests. For more information, visit http://home.kyodo.co.jp. Want to use Six Sigma concepts but find yourself frustrated by the complex mathematical equations involved? A new book addresses this issue, outlining nonmathematical presentations of the statistical topics that Green Belts must master. 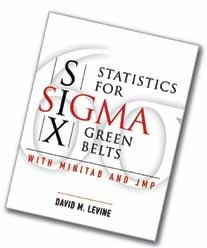 Statistics for Six Sigma Green Belts with Minitab and JMP by David M. Levine (Prentice Hall, 2006) includes explanations of control charts, design of experiments and regression. It minimizes emphasis of probability, probability distributions and sampling distributions, and focuses on Six Sigma applications in service industries. The book is set for release on Oct. 1. For more information, visit http://vig.prenhall.com. Select "Search Our Catalog" and enter the book title. Grant Lundberg is president of Lundberg Family Farms of Richvale, California, a producer and distributor of high-quality organic and eco-farmed rice products. Lundberg Family Farms is a member of lean networking group Manufacturing IDEAS, which was profiled in the feature "Home-Grown Quality" from our September 2006 issue. Here, Lundberg discusses his daily routine in ensuring quality in his company's manufacturing processes. Quality Digest: Tell me a little about your approach to quality. What methodology does Lundberg Family Farms use to ensure product quality? Grant Lundberg: "Quality" cannot be inspected in; it must be built in. Quality control (QC) is conformance to specifications at the production line. Operations personnel are responsible for QC and monitor the inputs and outputs, such as meeting product specifications, net weights, package-seal integrity and date codes. Quality assurance (QA) is a certification by the technical services department that the product has met all Lundberg Family Farms and regulatory requirements and is approved for consumers. QA supports operations through training, audits and process control methods development. Technical services/QA maintains 10 programs that promote error-free functionality for Lundberg and consumer safety: sanitation and pest control, control of nonconforming product, maintenance of specifications and formulas, incoming materials and ingredients inspections, allergen control, standard operating procedures (SOP), employee training, food safety audits, conformance to regulatory requirements, and hazard analysis and critical control points (HACCP). QD: There are so many government regulations for food processors and distributors. Do you think the industry is overly regulated? How could it improve? GL: No, I don't believe the food industry is overly regulated. Look at the necessary changes that were implemented in the United States as a result of Upton Sinclair's The Jungle, which resulted in standards for food purity and food safety for all of us. I do believe, however, that regulations are too complicated and difficult to interpret. Food companies need easily understandable standards. A company that adheres to the spirit of the law vs. the letter of the law will prosper and enhance brand quality. 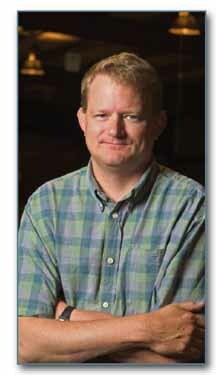 QD: How often do you, as Lundberg's chief executive, walk the production floor? GL: I walk the floor two to three times per week. When I walk around I want to see that our operations are well organized, that the people are working safely and that we are following good manufacturing practices (GMP). I also think it's important for our operations people to see that I care about what they're doing and how they're doing it. QD : How do you keep in contact with shop-floor supervisors? GL: As I move through the operation, the supervisors are my key contacts. I usually talk to them about what they're processing, how busy we are and what some of their challenges are for the day. QD: How does Lundberg provide quality training to its workers? GL: In three ways. Training programs are managed by the technical services department in the form of video, classroom and written programs containing company requirements such as HACCP, allergen awareness and SOPs. New employees are trained in GMPs on their first day on the job. SOPs are maintained as training tools and contain operational instruction, specifications data and even personal safety information. Cross-functional interdepartmental food-safety teams are trained to perform routine audits of all facilities. Nonconformances are documented, and corrective actions are assigned and reviewed. Despite rising vehicle costs and high gas prices, consumers recently gave the auto industry its highest perceived quality rating in more than a decade. The "Quarterly Quality Report," compiled by the American Society for Quality, measured the auto industry's perceived quality score at 87--its highest level since the second quarter of 1995. Overall quality perceptions for the industry have been historically stable, despite a number of economic challenges. Still, there are a few standout brands, such as the GMC division of General Motors, which this quarter experienced the highest increase in perceived quality. The report, which is culled from the American Customer Satisfaction Index, found that the Buick and Cadillac nameplates are ranked alongside quality leaders such as Toyota, Honda and BMW. Hyundai had the most significant quality advances, with long-term gains of 12.7 percent over the past decade. Consumers are also highly satisfied with their personal computers, reports ASQ. The industry made a 3.8-percent jump on the quality index, primarily due to gains by Dell Inc.
For more information, visit www.asq.org. The winners of the International Asia Pacific Quality Awards for 2006 were recently announced by the Mexican Institute for Quality Control. The annual award program is sponsored by the Asia Pacific Quality Organization and administered by the Walter L. Hurd Foundation. Judges use the Baldrige criteria to assess candidate organizations based on their leadership, strategic planning, customer and market focus, measurement, analysis and knowledge management, human resource focus, process management and business results. Candidates for the award must also have already won a national or regional Baldrige Award during the last three years. • Yanzhou Coal Mining Co.
• NYK-FIL Ship Management Inc. The winners will be formally presented with the awards at the APQO International Conference and QUALCON 2006 (being held jointly in Sydney, Oct. 18-20). The winners will also participate at the Mexico Asia Pacific Total Quality Seminar, scheduled for Oct. 4-7 in Tijuana. For more information, visit www.apqo.org/announcements_aoq.php. Public perception seems to be that every single American company is considering moving its operations overseas--next week--but the truth is that this is still pretty rare. In fact, The Manufacturer's Annual Manufacturing Report found that 66 percent of companies say that it's "not at all likely." Which of the following initiatives have been a key business focus for your company during the past 12 months, and which are a planned priority within the next 12 months? Organizers of last month's International Manufacturing Technology Show report that it was a resounding success, with even more attendees than they had expected. By the time the eight-day event was over, 91,985 people had walked through the show. Organizers forecasted that about 90,000 people would attend. Expect major changes at the next IMTS, though. 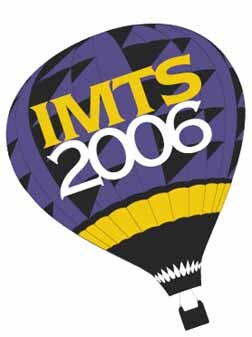 The 2008 show will be held over six days, instead of the eight-day format the show has traditionally taken. The show dates are Monday, Sept. 8 through Saturday, Sept. 13. The Association of Manufacturing Technology, which organizes IMTS, reports that it has changed the format to allow attendees to more efficiently see the exhibits, and to minimize costs to exhibiting organizations.